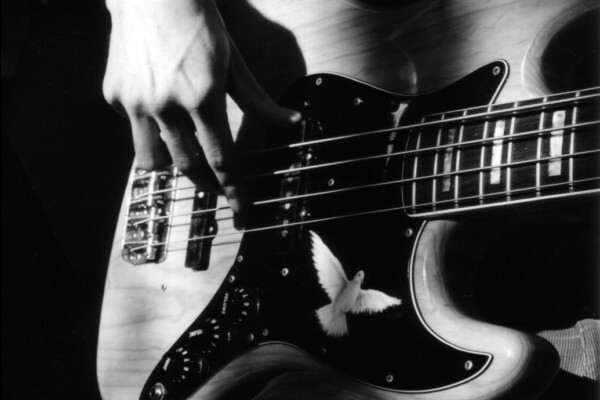 Q: I’ve got a toggle on my bass for passive and active. I hardly use it. Could you explain the benefits and drawbacks of each? Do you ever toggle during a gig? Thanks! 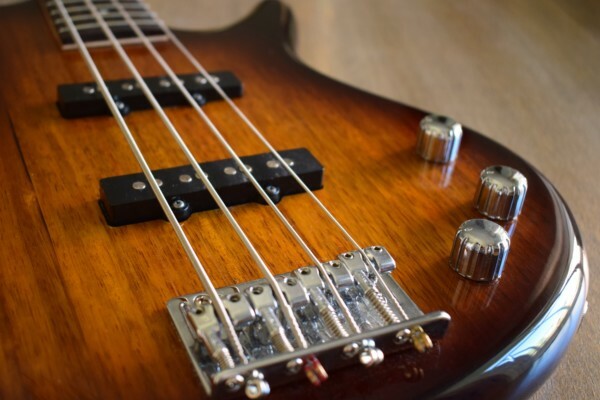 For some of my basses, I am very much in favor of having a toggle or push/pull pot that allows me to play the bass with the preamp engaged or disengaged. It simply gives you more options. When you have a good preamp, and a nice eq built right into the bass, it gives you the ability to draw from a myriad of tones without ever even having to look at your amp. Married with the ability to also switch to passive mode and get more of the true sound of the instrument (minus your onboard preamp and eq, in other words), you kind of have the best of both worlds. I find the passive tone to be more organic, which suits it well for certain types of music, to my ears. I also find it to be a more versatile sound when combined with separate volume controls for each pickup (vol/vol/tone is my new preference). 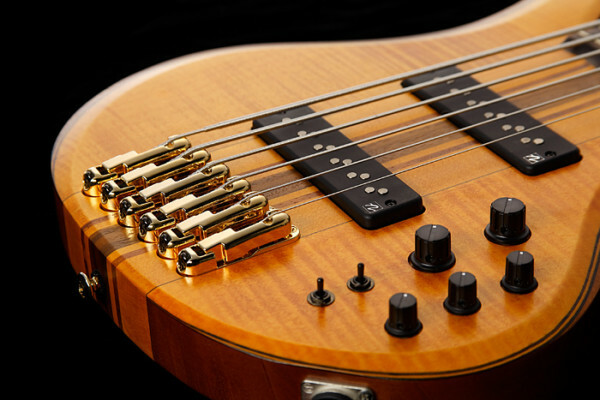 I’ve also determined that, in my experience, when a bass is built to be used with a preamp, it’s not as necessary to find that sweet balance of wood types, density, hardware, etc. Everything that goes in the way a bass sounds, because, when you engage a preamp, you are getting a larger portion of your sound from the electronics. Because of that, I don’t tend to be as enamored with my active basses in which I installed a passive mode after the fact. The preamp colors the sound to an extra degree. Two active basses with the same preamp configuration but completely different woods and specs will certainly sound different from each other, but they will also sound far more alike than two entirely different passive basses might. It’s a matter of degrees, but while I found it easier to find certain kinds of sounds with a preamp (tight and focused fusiony sounds, for example), I find that my sound fits better with the band when I don’t use a preamp, to my ears. (I’m going to keep saying “to my ears” because this is 100% subjective and just my perception of things, which is likely biased in some unconscious way). That is to say that I don’t like the passive sound as much on my basses that were built to be active, generally speaking, as opposed to my basses that were built with the passive voice firmly in mind. I don’t know if it’s the fact that we wind up running our bass through multiple preamps when we use an onboard preamp (the other being your actual stage rig), but I’ve come to find the sound somewhat artificial under my fingers. And that is an important point. Under MY fingers. When I think of the electric players with my favorite tones, most of them use a preamp. Not all, though. 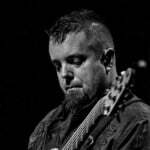 I’ve also played some of their basses and discovered that I couldn’t sound like them any more than I could when playing mine. It’s in the hands, in other words, and I’ve found that I prefer the sound of my hands on basses built with passive use in mind. I think everybody needs to find what works for them specifically as we’ll all sound different on every instrument. So, the long and the short of it is that I think it a fantastic idea for every active bass to have a toggle or push/pull pot to engage/disengage the preamp. It just makes it more versatile and has the side benefit of allowing you to continue playing on stage if your battery ever dies! If I had a bass built and wanted it to be the best of both worlds, I’d likely just have my dream bass built with the idea of it being a solid passive sounding bass with the ability to augment with a preamp. Have you adjusted the angle of the pickups? Are the pickups lower underneath the fatter strings? This will affect the output of the pickup. You can adjust this with a screwdriver normally, just don’t raise too high as the pickups might be hit by the strings.